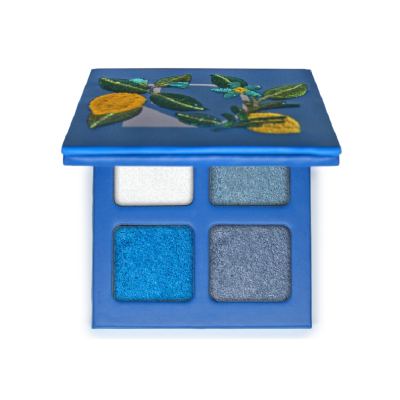 Four shades of eyeshadow in a splendid palette enhanced by embroidery inspired by the land of Sicily, for audacious eye make-up and fresh and deep eyes. Salina, an optical white to create luminous touches of light on the eyelids, an ultra-sensory texture with a pearly finish and a weightless film. 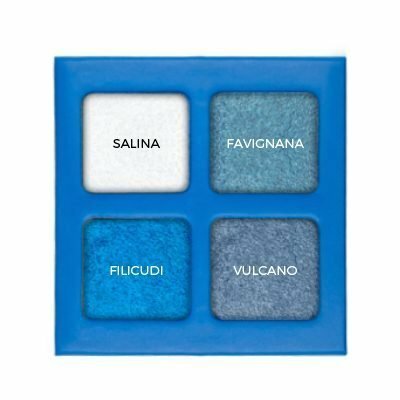 Favignana, Filicudi and Vulcano, three eyeshadows with an extraordinary metallic finish and with an extreme and weightless pay off are transformed from powder to cream for an application with excellent staying power.